Skincare is complicated business so doesn't it make sense for your treatment products to be specially prescribed for your individual needs? 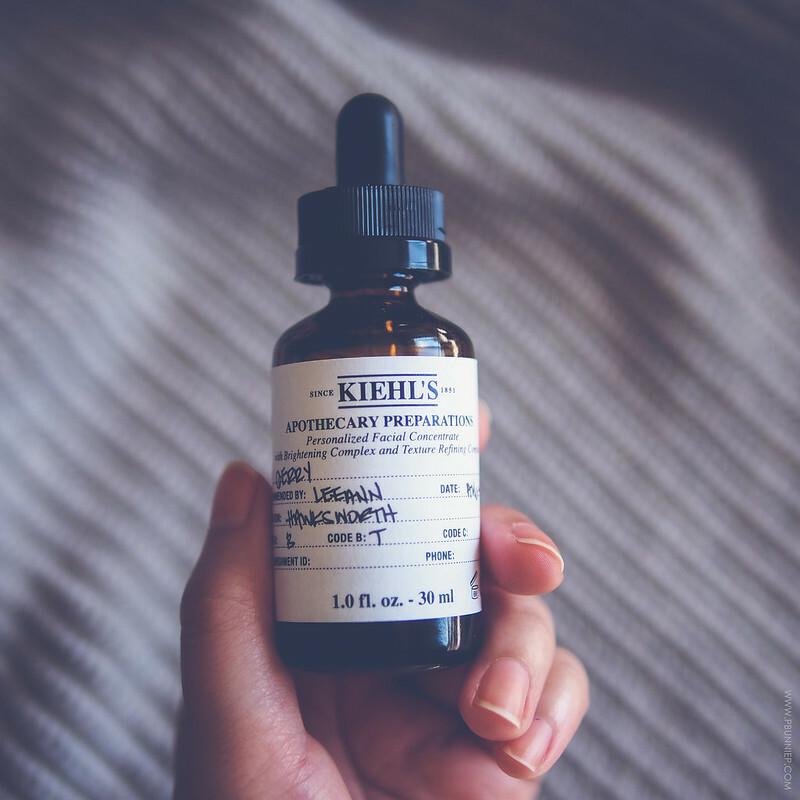 Since not all of us have a dermatologist on speed dial, I was thrilled to hear about Kiehl's in store, client based Apothecary Preparations* concentrate and service which launched in selected stores world wide this September. Reflecting on its 160 year old heritage when it specialized in mixing targeted concoctions for its clients in a brick and mortar store they have now opened the service again for the modern consumer. I had the pleasure of trying this out at an event and toted home a bottle of my very own. Now there's a good reason Kiehl's needs you to be present in person because the consultation is quite interactive. With my own skin card in hand, I was asked to check off my top skincare troubles from a list of common concerns and then together with my Kiehls consultant we flipped through a thick textbook (likely updated from their traditional manual) to confirm and decide on the severity of each of my concerns. My customized serum was then put together using their Skin Strengthening Concentrate as a base and matched with two corresponding potent Targeted Complexes ready for me to mix together when I'm set to start my treatment in order to ensure the freshest bottle possible. The Skin Strenghtening Concentrate is the base for every concoction and includes 35% squalene from olive fruit as well as 20% Skin Lipid Complex from a blend of oils. 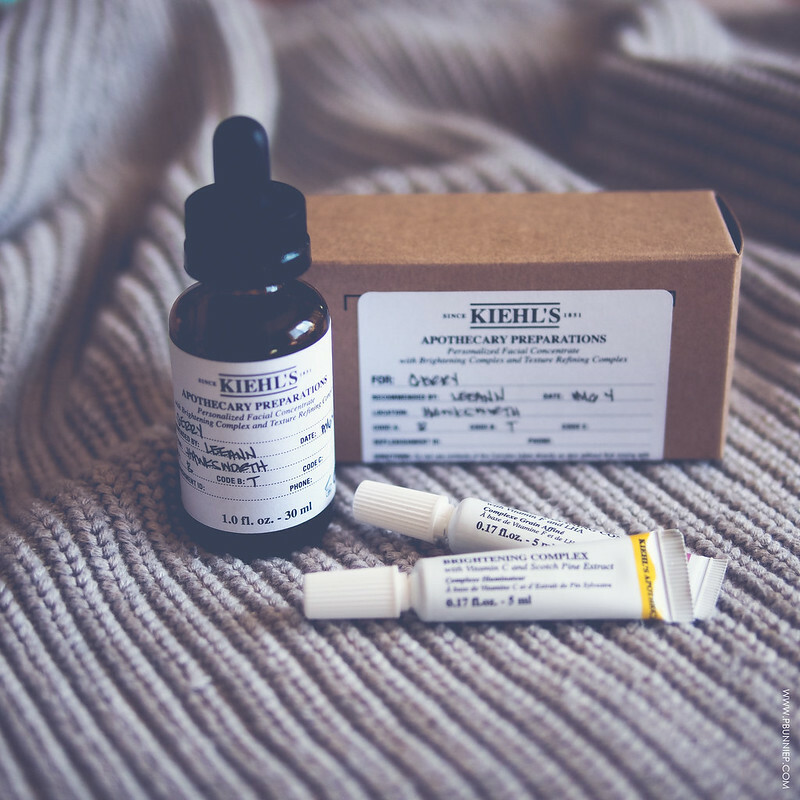 THE EXPERIENCE : Now part of what Kiehl's advertises is the personalized consultation and experience that comes with the Apothecary Preparations but I am undecided as to how much of a difference that makes. LeeAnn, my Kiehl's specialist in a white lab coat, neither agreed or disagreed with my choices as we flipped through the textbook looking at skin examples and I wasn't asked to remove my makeup which would allow her to have a better look at my bare skin. Essentially, she seemed to take me at my word and simply gave me the cocktail that fit what I said I wanted. It was less of a conversation and more of a follow the steps procedure. Do note that I had my experience at a crowded multi-branded event so service might be compromised due to the nature of the circumstances but I thought it was still worth mentioning. 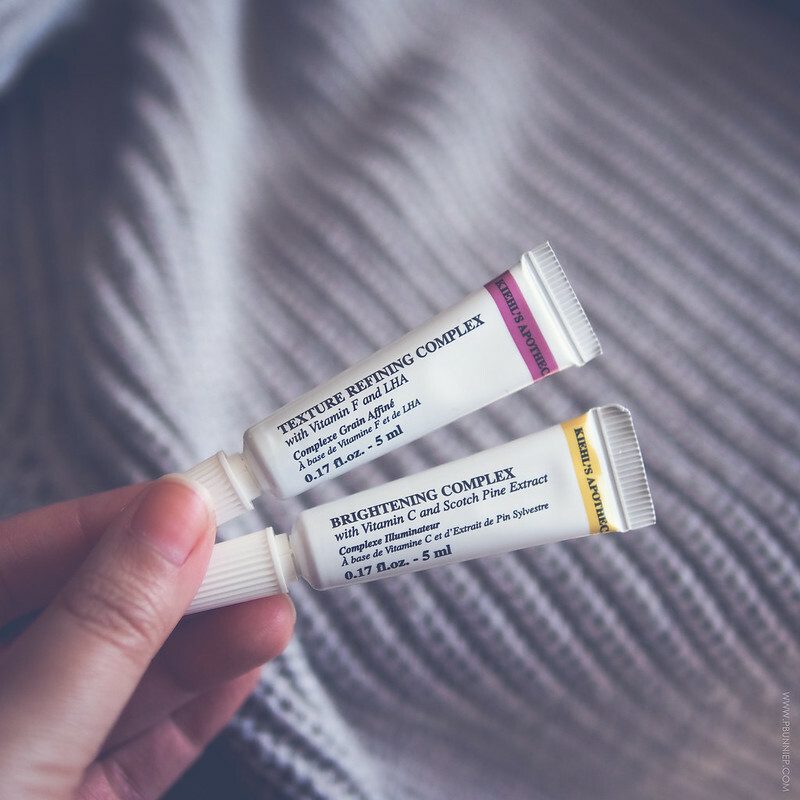 My main skincare concerns are what they've always been (leftover from my younger acne years) so I was matched to the Texturing Refining and Brightening Complex, both of which come in 5ml tubes that are sealed for freshness. A quick squeeze, mix and shake creates a pale yellow oil with a prominent herbal fragrance that's either love or hate depending on your own personal preference. The dark tinted bottle protects the inside from UV exposure and the dropper style dispenser makes it easy to apply just a few drops as recommended. My results after more than a month of regular usage? Yes it works but it's not a favourite. I noticed a gentle evening of my skin tone especially around my forehead where discolouration is more prominent but skin texture didn't improve to a noticeable extent. I also found this to be very gentle and did not cause any irritation which is always a bonus. The major snag for me however is the oil texture. Now, I've used and loved a good number of oil or oil base products but this one had a hard time absorbing into my skin and just sat weirdly. It's a little better if I mix my drops into my moisturizer but that's not what the instruction recommend. Putting this on took a long time and overall I just didn't enjoy or looked forward to it which again is quite unusual for a beauty lover like me. Each freshly mixed bottle has a suggested shelf life of 6 months and there's plenty of product to use in that period since only a few drops is needed each time hence value is certainly here! 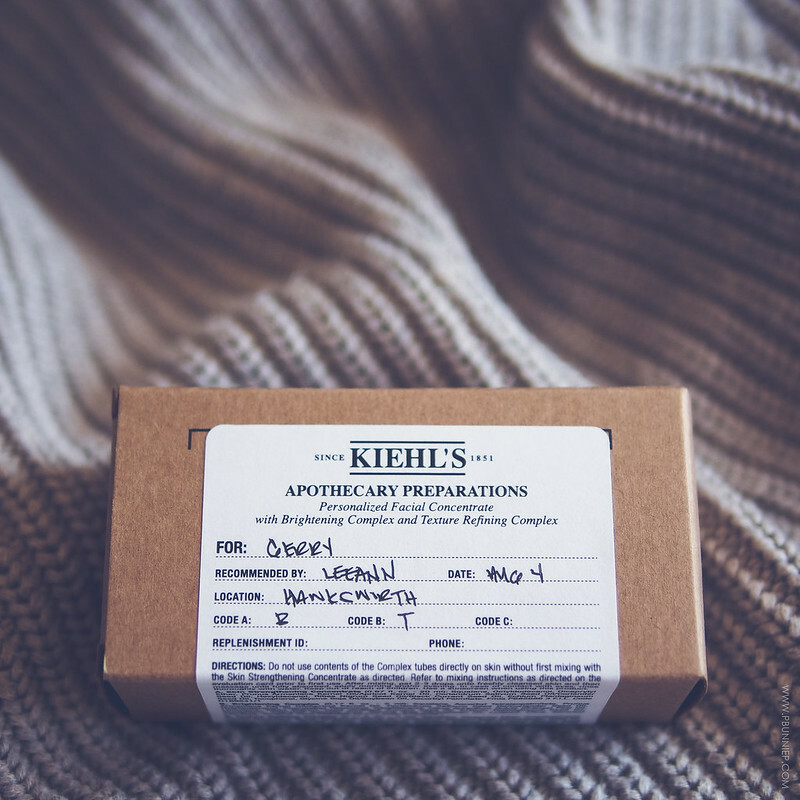 Kiehl's Apothecary Preparations is a smart concept for personalized skincare catering to the busy, modern client that brings a bit of old school charm to your beauty routine. 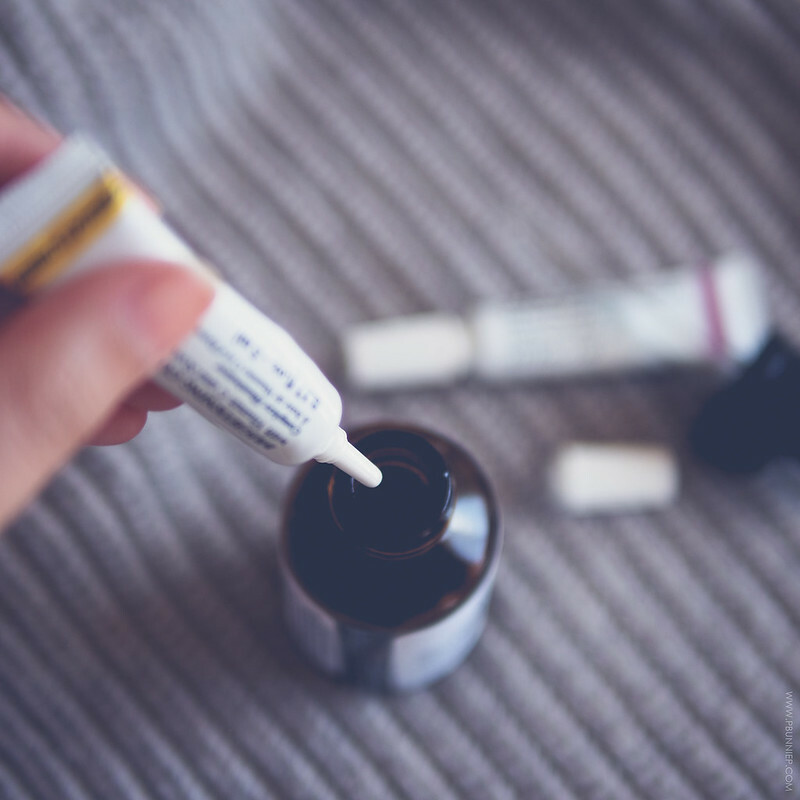 The ingredients read really impressively on paper and is some of the highest concentrations I've seen in ready to use products but it's also not for everyone. Your skin has to like using an oil based serum and the key active ingredients in the Target Complexes should be ones that work well with your skin. If the cocktail is right for you then I think the price tag is certainly worth it but I wouldn't buy it purely based on the advertised consultation process. If you have been around the block for a while and are somewhat familiar with your skin's preferences then you can probably do fine with the pickings on your own. I presume the experiences at Kiehls stores will be much more educational and enlightening so do read up on a few more reviews after mine.